Don't you hate not having a garden where ever you go? Small Mug- For those days at the office that you prefer nature over coffee. Medium Lunch Box- perfect for the kiddies! How are you so brilliant?? I just think you're the cat's pajamas. such a fresh and beautiful idea! I love your ideas! The small mugs are just great, I want one of those! Love it! You should redecorate my life. So cute. Also, I saw your tampon ad in a magazine I was reading the other day! So cute. Everything is sooo bright and happy what you show us! And you know what? I love it! You're blog has got to be the best one i came across lately, so fun and colorfull, love it! I find your blog so inspiring. It's one of my favourite blogs out there. I'm going to use some of your ideas for paying it forward with my youth group. We've already painted rocks and left them places. Argh, I find your awesomeness on a level that is hard to handle! This is so so so cute! I want a little coffee cup to put in my room.I find your blog so inspiring and colorful and I cant even find words to describe how awesome you are! How fun and definitely adds some much needed prettiness. Where do you even get all of your ideas??!!!! Looks so pretty! And it's such a cool suitcase! I love your blog, it's quiet amazing. hihi. It makes me smile! 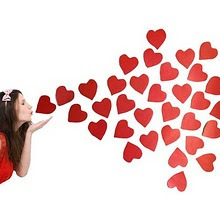 I just love your pics and great ideas! ridiculous amounts of whimsy and cute. The world definitely needs more of these to brighten it up! 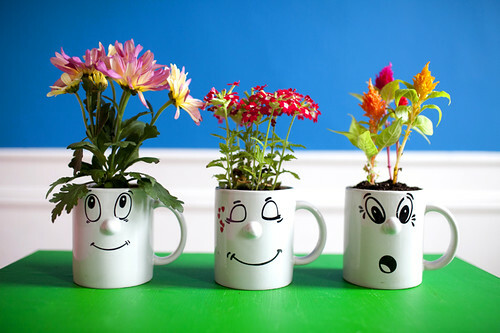 I love this idea, so cheerful. Does anyone know where to get those coffee mugs? They're especially awesome. It is so pretty! I love it. 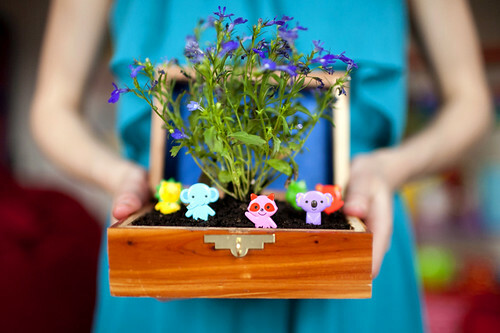 This is adorable, such a fun summer project and a brilliant way to add a bit of greenery and colour to any place! 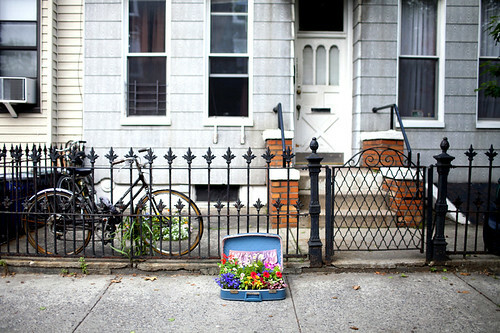 So cute, and perfect for my new little house without a garden! I haven't been visiting too many blogs lately, but your blog never fails to put a big smile on my face. 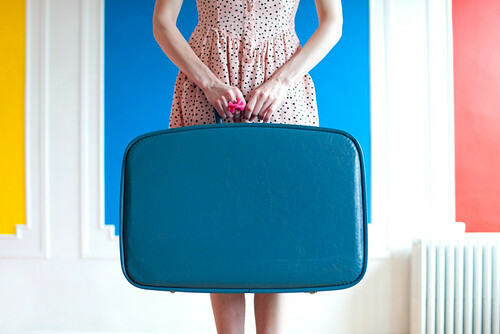 Love your suitcase and so glad it's TSA approved! Accept me as your apprentice and teach me to live! I saw your tampon ad in a magazine. It was totally cool. You are SUPER famous now! 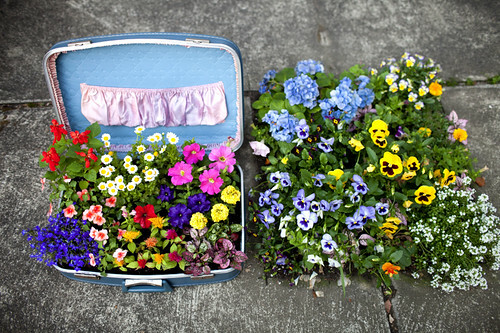 i love the suitcase idea! pinning it right now!! all of the best ideas! It is rather interesting for me to read this article. Thanx for it. I like such topics and everything that is connected to them. I would like to read more on this site soon. How clever and oh so pretty with all those happy colors. Nicely done! I bet it makes people smile when they walk past. This is very intresting. I have joined your feed and look forward to seeking more of your great post. Very nice post . your designs are great. Brilliant! I'm so packing that for my next trip. OMG, I absolutely adore this idea. I have an old suitcase that I bought at an estate sale just sitting in my room. I need to come up with a good DIY project! Amazing ideas like what you always have! you inspired my blog in fact, and to look at life in a positive light at all times. btw, how do you edit your pictures so that they're so bright and beautifully colored?? it's soooo funny I love this idea ! Found your blog via your tampon ad in my Cosmo magazine and I am sure glad I did!! Where have you been all my life?!? so bright and lovely! Your posts bring smiles. This is so simply beautiful that it fair brought a tear to my eye! it's good post keep it up .. I love the faces on the mugs. Very cute. so cute, how can they live? 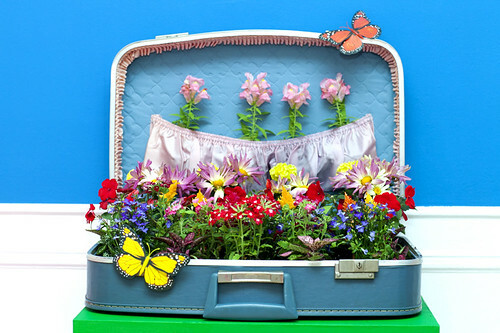 Guaranteed to add a little whimsy to any location you decide to pop up your garden. Hello! I'm a freelance photographer who lives in Brooklyn with my silly cat named Moo.